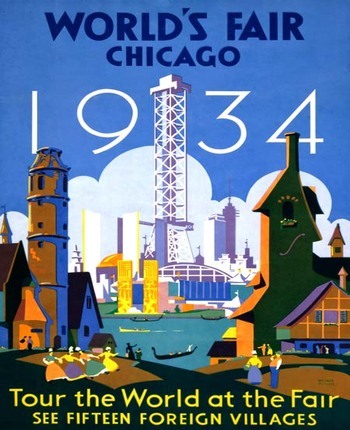 This week I thought I’d share a few posters for the Chicago World’s Fair of 1933. 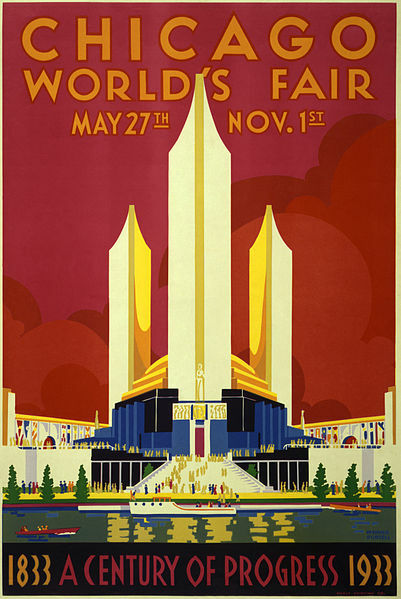 The Fair ran from 1933 to 1934, and there was a poster for each year. I also found a poster promoting train travel to both festivals. 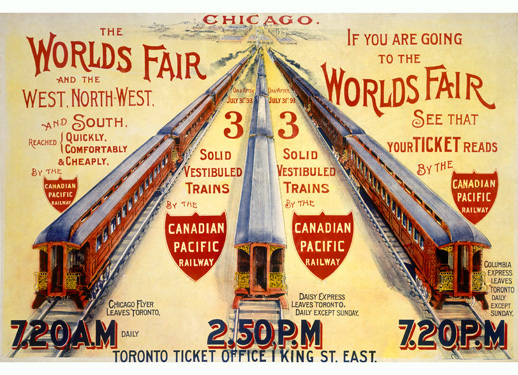 It’s neat to see how the clean, futuristic, forward-thinking design of the Fair posters contradicts the more classic approach taken by the train poster. I’m not sure which I prefer! There are aspects of both that really speak to me. The train has more of a circus-style to it, and looks a little dirty in comparison. There’s something great about that, though.